My earliest memories venturing out into the great outdoors are strongly correlated with food. For my Mexican family, summer trips to the lake equaled carne asada and grilled onions. Burritos neatly wrapped in tinfoil still remind me of our treks up I-80 in the winter, so we could slide down snowy hills. You work up quite an appetite falling face first in the snow. The night before a trip to the lake I would anticipate walking on the sand (or dirt depending on the location.) I would imagine the first moment the water came into view. I’d get so excited at the thought of jumping in the lake, with my pair of two-dollar arm floaties, that I’d have trouble falling asleep. 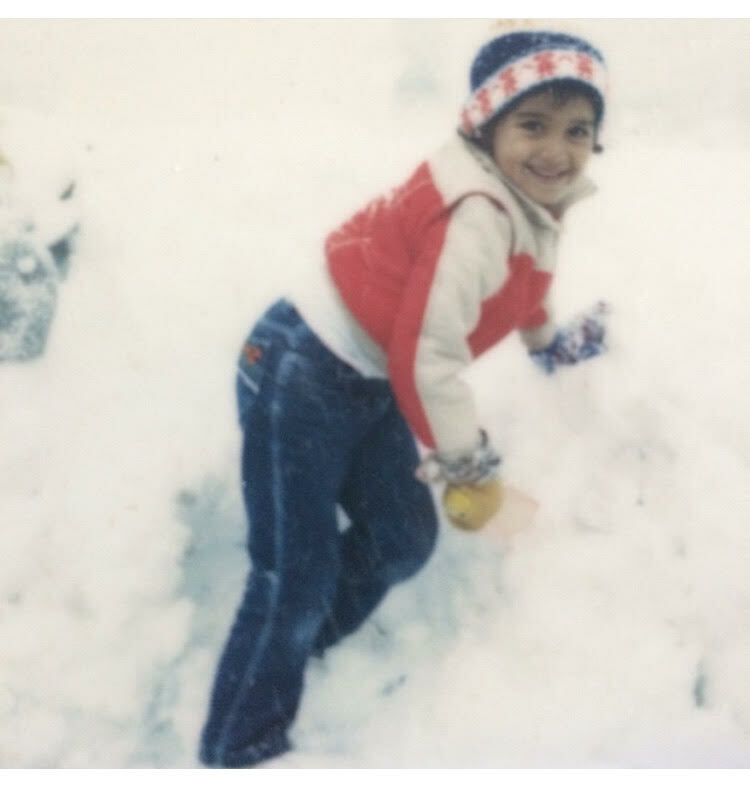 Our annual trips to the snow was one of a handful of times in winter that this California kid got to pull her favorite puffy jacket out of the closet, wear a scarf and beanie, and actually need it. Looking back, I realize that this is when my love affair with nature began. I loved it for what it was… before I knew that fancy outdoor equipment existed, before going out into nature seemed complicated and expensive. Being outdoors and exploring this gorgeous state of California filled me up with a sense of pure joy. The giddy feeling I used to get as a kid when I caught a glimpse of sparkling blue water, or a snow bank taller than my 5-year-old frame, is the same exact feeling that the grown up me gets every time I see Lake Tahoe from the top of a Sierra peak. To the Latinas and Latinos I know who don’t venture out into nature very often, I have to ask why not? If it’s out of a sense of uncertainty of where to start, what gear you will need and who will guide you then I say look no further than this blog. No more excuses. You have a time, a place, and people who love the outdoors to lead the way. Vamonos a explorar! Let’s go explore, with Chicas Latinas de Sacramento and Latinos Outdoors!